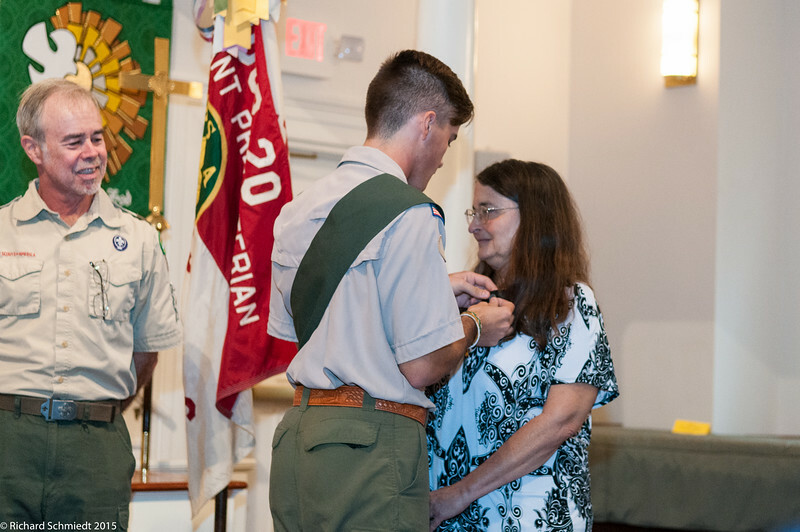 Photos of the Ceremony of Thomas Blyth promoted to Eagle Scout. The ceremony was held at the Mount Pleasant Presbyterian Church on November 8, 2015. Congratulations to Thomas! !